Maybe you were nursing a cold. Maybe the weather was terrible. Or maybe you have no excuse whatsoever. It’s fine, we’ve all been there: wondering where the day went after watching an entire season of our new favorite show without getting off the couch. While the availability of on-demand TV and movies commands much of our dwindling attention spans, often leaving little room for books, there is one way that publishers can leverage our addictive personalities to drive sales: by encouraging binge-reading. Of course, if you want readers to turn the last page of Book 1 in a series and immediately purchase Book 2, the sequel should be available in the near future—if not immediately. Personally, I was happy to get on the Game of Thrones bandwagon late enough to read all five books back-to-back-to-etc., but it's only been two months since I finished A Dance with Dragons and I’ve already joined the masses breathing down GRRM’s neck. Fortunately for impatient readers, these complaints aren’t falling on deaf ears. In response to the rapid consumption of page-turning series—and grumblings over delays between books—many publishers are churning out new installations faster than ever. Sure, in that case Random House had three complete books on their hands. But if your author is still working on Books 2 or 3, consider postponing the release of the series debut until you are confident you can publish several books in quick succession. Binge-releasing works better with some titles than others. After finishing the wonderful, thought-provoking, and terribly confusing 1Q84, for example, I needed time to acclimate to normal life—and a break from my beloved Murakami-san. Logically, your un-put-downable page-turners are your best candidates. Are there cliffhangers? A love triangle? Unsettled scores? Do the characters exert a strong emotional pull on readers—or inspire insatiable lust? If so, consider the rapid fire schedule. “We were creating a sophisticated, multi-layered story about complex characters who would reveal themselves over time, and relationships that would need space to play out," he said, explaining why the pilot model would have short-changed the series. That sort of character development takes time. But if your readers are hooked, they’ll be along for the ride. 3. Bulk up your back matter. 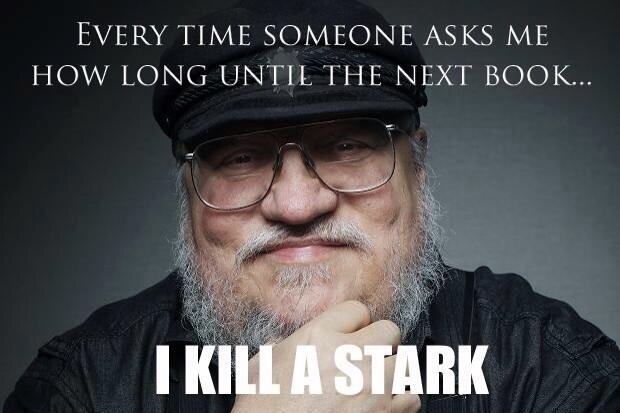 Readers will never be as primed to buy a sequel as when they finish Book 1. Add a back ad or a teaser to your back matter to take advantage of this free advertising space. Need guidance? The team over at BookBub put together a fantastic rundown of your options when it comes to cross-promoting in back matter. One thing to note: most retailers won't let you include links to their competitors in your back ads, so be sure that your "buy now" links are optimized so they’ll work on any device. 4. Price and package strategically. Don’t be afraid to position your series debut as a loss leader to capture a larger audience. Play around with price drops on backlist titles each time you launch a new installment, and repackage your content in high-value eBook box sets to breathe new life into a series. If you’re a Vearsa customer, keep in mind that our platform supports pricing promotions for defined time periods on selected retail sites, making it easy for you to perform trial price adjustments and short-term price drops. 5. Take advantage of subscription services. They don’t call it “all you can eat” for nothing. Having prepaid for their unlimited supply of titles, subscribers to Oyster, Scribd, and similar retailers are more inclined to make impulse selections—and to see a series through to its finale. Fun fact: among Vearsa clients, subscription revenue added almost 20% to US sales in January 2015. Not too shabby.